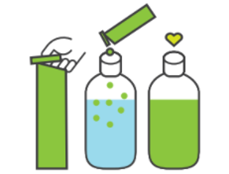 Taste: refreshing, vegetal, grassy, fruity with a hint of sweetness. 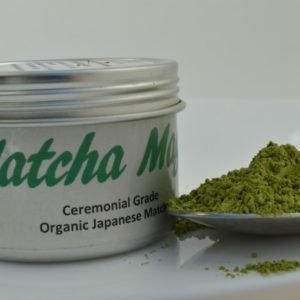 Cultivated with natural farming methods, Matcha On-The-Go fresh green tea leaves that are reduced in a very fine powder. The tea plants are grown at a certified biological tea farm (Grown without synthetic chemical substances and without genetically engineered seeds. The farm is certified and compliant with Taiwan certified agricultural standards for biological farming). 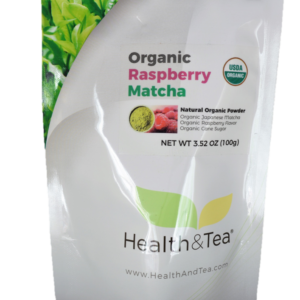 Matcha On-The-Go comes in 12 sealed individual tea packets for optimum freshness and easy preparation. 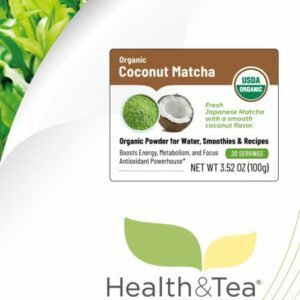 This convenient and delicious green tea powder can be enjoyed cold “On-The-Go” or hot. 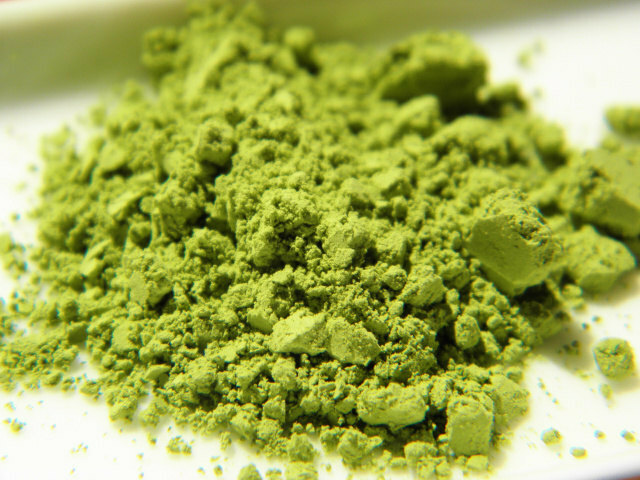 Note: caffeine level for Matcha teas are based on the brewed liquid. It does not account for caffeine that may remain in the powdered leaves. Put one packet of Matcha On-The-Go into a bowl. Add about one ounce of hot water (≈ 170 F). Whisk into a paste. Add seven ounces of hot water (adjust water amount for stronger/lighter flavor). Whisk, when foam appears your Matcha is ready. 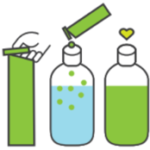 Remove a little bit of water from the bottle Poor 1 packet of Matcha On-The-Go into the bottle Shake well to mix Adjust water amount for stronger/lighter flavor.